SummitNaturalGasOfMaineAnnouncesWinnersOf2018CharitableGivingProgram - Summit Utilities Inc. Summit Natural Gas of Maine Announces Winners of 2018 Charitable Giving Program. Camp to Belong and Pathway to Potential Earn Top Grants. YARMOUTH, Maine – Summit Natural Gas of Maine today announced the recipients of the company’s 2018 Charitable Giving Program. Camp to Belong and Pathway to Potential will receive $4,000 each. Augusta Colonial Theater, Central ME Growth Council, Falmouth Food Pantry, and Yarmouth Fire Rescue Explorers Post 178 will also each receive $1,000 donations. Each year the company donates thousands of dollars to local nonprofits and community events. This year, in addition to sponsoring a number of charitable events throughout the year, the company solicited applications from local nonprofits for charitable grants that would directly benefit and strengthen the communities Summit serves. After narrowing the applications down to six finalists, the company asked Maine residents to vote on their favorite causes. The top two vote earners received $4,000 grants and the remaining four charities received $1,000 grants. In addition to providing charitable grants and yearly sponsorships to local organizations and causes, Summit also planned several volunteer days this spring with local communities and nonprofits. 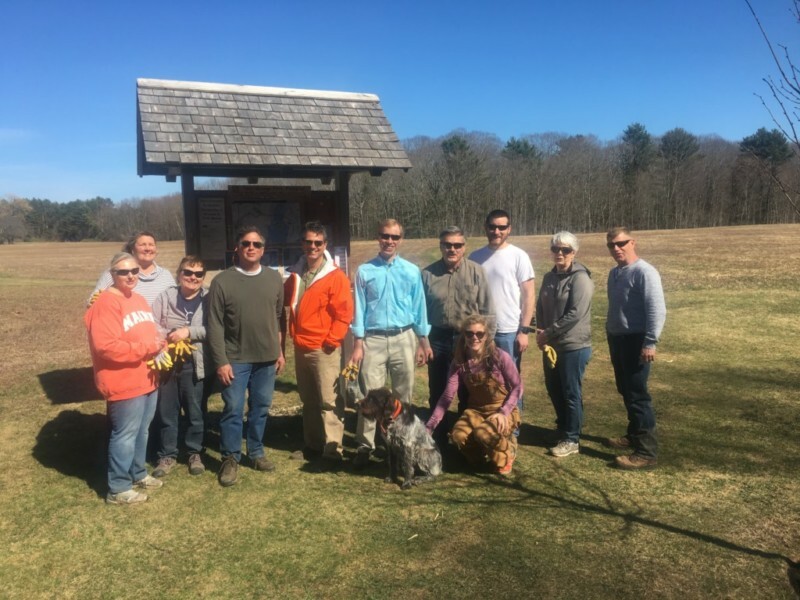 To celebrate Earth Day, employees used their paid volunteer time off benefit to help prepare Fels Groves Farm Preserve in Yarmouth for community use. Employees also recently volunteered at Pine Tree Camp in Rome, a 2017 grant recipient. Each Summit employee receives 20 hours a year of paid time off to volunteer in their community. Augusta Colonial Theater — The Augusta Colonial Theater in downtown Augusta, Maine will resume theater tours for the public beginning in June. To conduct tours, the nonprofit group intends to recruit volunteers and train them accordingly. Tours will also require the board of directors to create educational materials for the public and communications to market/promote the tours will be necessary to ensure the public is aware. Funds will be used for training, educational handouts, signage and banners, and marketing efforts. Camp to Belong — CTB Maine is a non-profit 501(c) (3) organization dedicated to reuniting brothers and sisters who have become separated by foster care/adoption through a week of camp in the summer and other events throughout the year. To run camp for one week in the summer for about 60 Maine youth and maintain the nonprofit year-round costs a little over $100,000 a year, which they get primarily through donations, fundraisers and grants. Falmouth Food Pantry — The Falmouth Food Pantry, INC provides support to families in need in Falmouth, Cumberland, Yarmouth, Portland, and Westbrook. The pantry also assists families in crisis through advocacy and personal support where possible. Each family can visit the Pantry twice a month or receive home delivery once a month as needed. The items provided for each family allow these families to set aside their funds for other essentials. Funds will be used to purchase more nutritious foods such as fresh produce, proteins, and root vegetables. Pathway to Potential — Pathway to Potential was founded by Olympian Julia Clukey with the unwavering belief that all students, regardless of income or background, deserve a quality education and career success. With that in mind, the organization runs several initiatives, including college consulting, summer camp for girls, leadership conferences, and living inspiration conferences. Funds will support Kennebec Valley youth at summer camps and college immersion programs. Yarmouth Fire Rescue Explorers — Yarmouth Fire Rescue Explorer Post 178 is a high school age coed youth organization that is learning about the fire service and Emergency Medical Services (EMS) in their community. Experienced adult members train the youth members on firefighting techniques and the benefits of a strong volunteer fire rescue service in their community. The organization needs to purchase Personal Protective Equipment (PPE) for youth members so they can safely respond to calls. They will not be allowed to go to car accidents or fight interior fires, but they will need helmets, boots, eye protection, gloves and turnout gear for support roles on the exterior of a building fire. Funds will be used to purchase the PPE. **The attached image is of Summit Employees using their Volunteer Time Off to clean up and prepare Fels Groves Farm Preserve in Yarmouth for spring and summer use.